Hello, I am Danielle and I am the new trainee at the Research Collections at the University of Worcester. I will be using this blog to update you on my progress as a Skills for the Future Trainee but, more importantly, I will be sharing the interesting stories that I come across whilst working here. 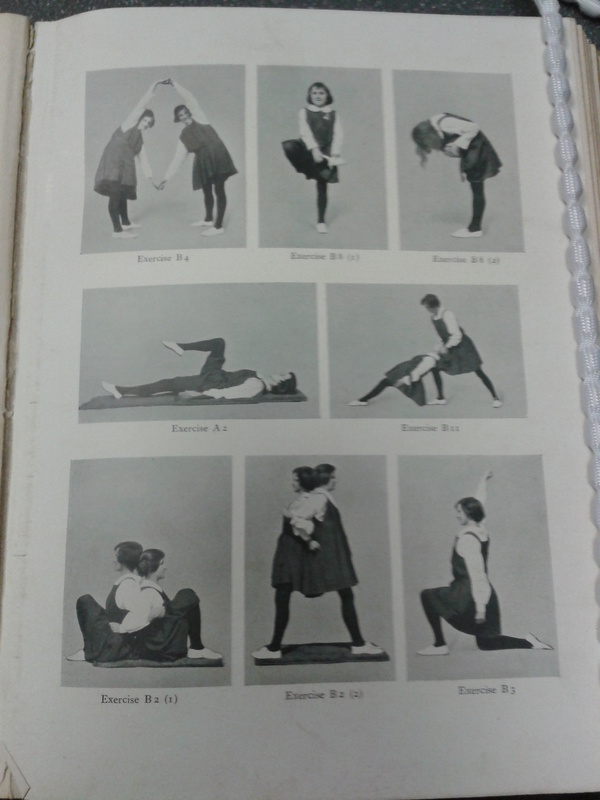 We have recently got our hands on a selection of children’s annuals dating from the 19th and 20th centuries. 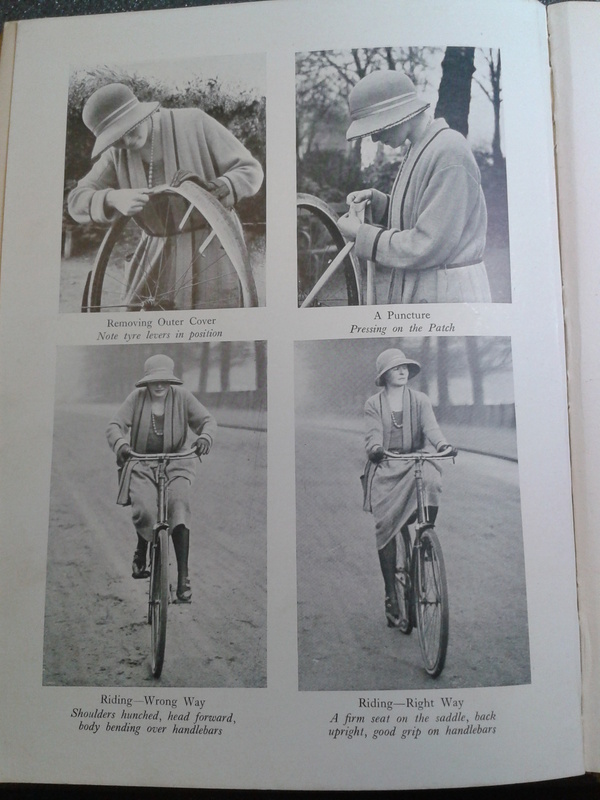 These provide us with an insight into the lives and activities of youth in this period; what clothes are fashionable, how to exercise and the proper handling of a bike, to list just a few. I was having a look round the collection to learn more about childhood in this era when I came across some interesting accounts of parenthood. 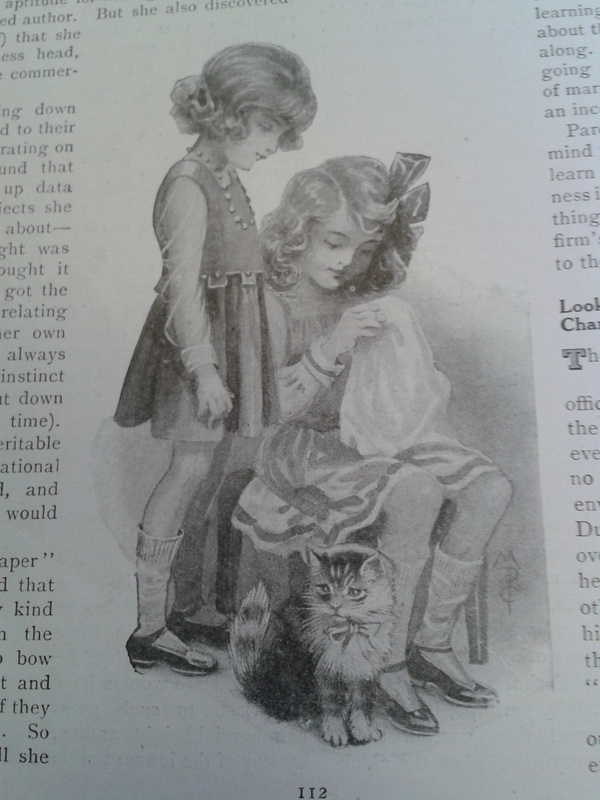 Lily Watson wrote a series of articles that were published in Girl’s Own Annual, in 1920, which gave helpful information to young mothers on how to deal with ill-mannered children. 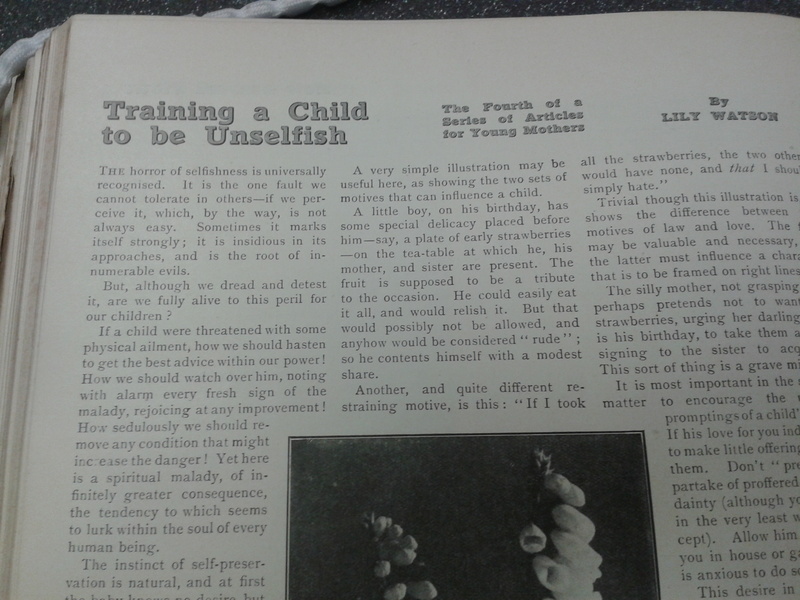 The article pictured below is entitled ‘Training a Child to be Unselfish’ and focuses on how selfishness is ‘insidious in its approaches, and is the root of innumerable evils’. Watson advised her audience to make their children aware that they are not the most important individual in the world and that they must ‘subdue [their] desires for the sake of other people’. The article links the personality of a child to the reputation of the household and by having a selfish child the respectability of the family can be disputed. This approach would have reinforced notions of respectability that were prominent in the Victorian era. Her argument was that having a considerate and unselfish approach as a mother did not reflect on the children but more so encouraged them to focus on themselves to a higher degree. Watson was calling for mothers to tackle this issue at a young age so that their child would not be recognised in such a negative way when they reached adulthood. Although Watson lacked step by step set of instructions that a mother could follow, she did provide her readership with behavioural outlines to train their child, and offered modern readers an insight in to understanding the parent-child relationships of the late 19th and early 20th centuries.